Helen Keet has been blown away by the growth of the junior section of Devils. 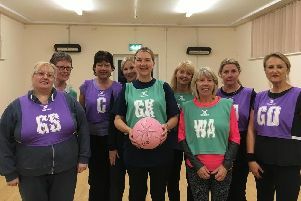 The head coach was approached to launch the youth branch of the Fareham-based All About Netball club. Already running school sessions and three satellite academies, she was initially apprehensive. But the coach was quickly won over by the enthusiasm of her fledgling talents. Keet said: ‘I wasn’t sure how I would fit another commitment in but I already had a couple of juniors in my adult team so I just went for it. ‘The response was unbelievable. Two players soon turned to five, then a team of seven and within a month more than 30 girls were playing for us. ‘The girls formed teams quickly so they would get competitive match-play in the local league. Training sessions for the Devils are held at Cams Hill School in Fareham on Tuesdays. The under-12s train from 5pm to 6pm and they are followed by the under-16s from 7pm to 8.30pm. There are also little Devils sessions, for those aged six to 12, at the Mountbatten Centre in Portsmouth on Wednesdays. Keet added: ‘This little team play in a league and we are seeing huge improvements. The under-16s are currently unbeaten in the junior league and relishing their time together. Captain Stevie Lewry said: ‘It’s my last season in the junior league and so far so good. ‘We’re unbeaten at the moment and hope it stays that way. Earlier this season the Devils were second to a strong Jellies team in a youth tournament. And last month two of the junior teams attended a PGL (Peter Gordon Lawrence) residential event and came third overall. 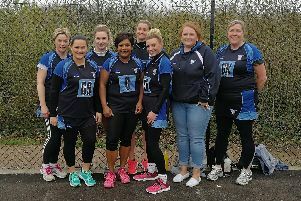 They have been coached by some of England’s finest players, including Commonwealth gold medallists Eboni Beckford-Chambers and Jodie Gibson, Surrey Storm director of netball Mikki Austin and England under-21 Paige Reed. Most recently, Devils under-16s joined the Hampshire League and in their debut game lost by only one goal to the table-toppers, with Charlotte Pitcher named player-of-the-match. Vice-captain Charlotte Wallace added: ‘It was an exciting game. ‘We were all very nervous and missing two of our normal team – one of those was our captain, Stevie. ‘We started well, though, and won the first quarter. ‘Our centre, Millie Bradbury, went off with an injury in the third quarter and we went down by two. ‘But the girls really pushed hard in the last and we pulled back – just losing by one goal.